The Panoramic Timber Sash Window range provides the traditional look of wooden windows and is of course aesthetically pleasing without compromising on energy efficiency and security. Our weighted wooden sash windows feature sashes suspended on traditional sash cords and counter-balanced by lead weights. Manufactured by craftsmen in our local joinery, we offer a number of styles and finishes to complement your home. At Panoramic we always aim to refit these wooden sash windows sympathetically, fitting them back to the original plaster line in most cases. Would you like to know more about our Timber Sash Window range? 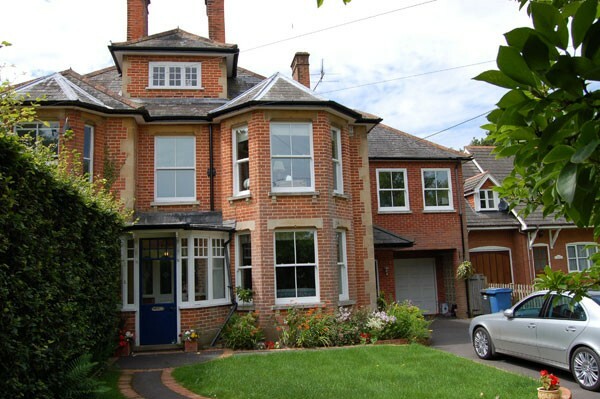 We can help enhance your home with a stunning set of high-quality wooden sash windows. Call us today on 0800 37 33 37 and speak to one of our friendly team who will walk you through all of your sash window options or come and visit us at our Bristol Showroom. "I would like to thank you for the service that you have given me over many years, this being the second house that you have completed for me. I have always been 100% satisfied with both my dealings with you and the quality of the windows and installation process, also the friendliness of the staff on the end of the phone."